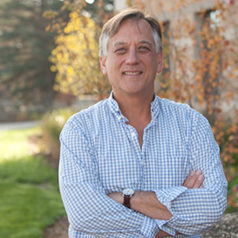 Edward B. Barbier is the John S Bugas Professor of Economics, Department of Economics and Finance, University of Wyoming. He has over 25 years experience as an environmental and resource economist, working on natural resource and development issues as well as the interface between economics and ecology. He has served as a consultant and policy analyst for a variety of national, international and non-governmental agencies, including many UN organizations and the World Bank. Professor Barbier is on the editorial boards of several leading economics and natural science journals, and he appears in the 4th edition of Who’s Who in Economics. He has authored over 150 peer-reviewed journal articles and book chapters, written or edited twenty-one books, and published in popular journals. Some of his well-known works include Blueprint for a Green Economy (with David Pearce and Anil Markandya, 1989), Natural Resources and Economic Development (2005), A Global Green New Deal (2010), Scarcity and Frontiers: How Economies Have Developed Through Natural Resource Exploitation (2011) and Capitalizing on Nature: Ecosystems as Natural Assets (2011).